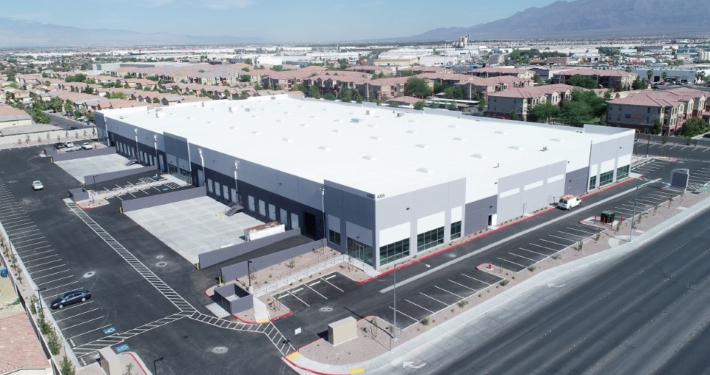 The Las Vegas industrial market has enjoyed a resurgence since the Great Recession, but most of the new construction was limited to large scale industrial buildings, while there was limited development of new mid-bay buildings catering to tenants under 25,000 square feet. Vacancy in midbay product, as of late 2016 had declined to below 4%. We saw a unique opportunity to develop a new building catering to this market. ViaWest Group acquired a 7.29-acre site in the North Las Vegas submarket in November of 2016 and took it through zoning and entitlement. Construction of the Class A, 122,291 square foot, 28’ clear-height building was completed in June 2018. Near the intersection of Lamb and Craig, the property has convenient access to the I-15 Freeway. The well-designed property, which is the first of its kind developed in North Las Vegas in the last 10 years, has enjoyed very strong lease-up at higher-than-expected lease rates.